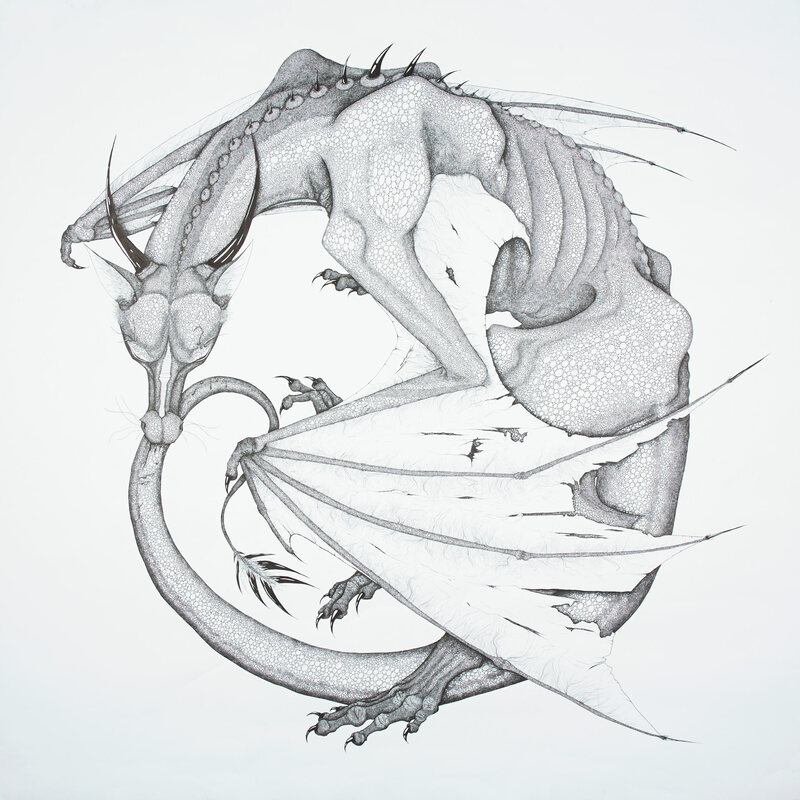 Ouroboros: A dragon/serpent biting its own tail, symbolising eternal cycles (Greek mythology). Arabesque: (1) A dancing figure in an elegant pose; (2) an intricate, linear, detailed pattern. Depression. It’s a curse many live with, their life blending into an eternal cycle of days, tears dripping from eyes like ink from a pen. Sometimes pain is an escape; a world of black and white, screaming, for help. Nobody sees, nobody answers. So they pose for the world, hiding their beast away, continuing the endless ritual of dreary days, bleeding from every pore, screaming with every breath. Nobody notices.